Bring your important files with you, wherever you may go. Microweber CMS & Website Builder lets you upload files and store them on your website. This way, wherever you may happen to be, you will have access to all the information you need. 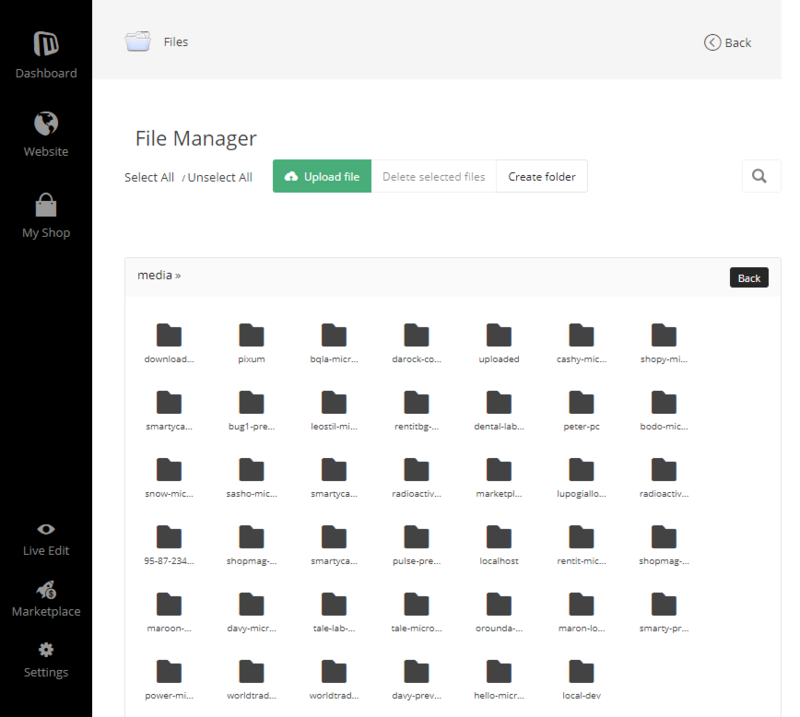 You can access our feature-rich File Manager through the "Quick Links" menu at the bottom of your Dashboard screen. Once in, you will gain clear insight into all your uploaded content. You can add new content by clicking on the "Upload File" green button. Delete any files you wish by ticking them and pressing the "Delete Selected Files" button. If you want to create new folder, just click on the "Create Folder" button. Organizes files in different folders, create subfolders and arrange your file content anyway you like. Your need for flexibility and mobility has found its solution.